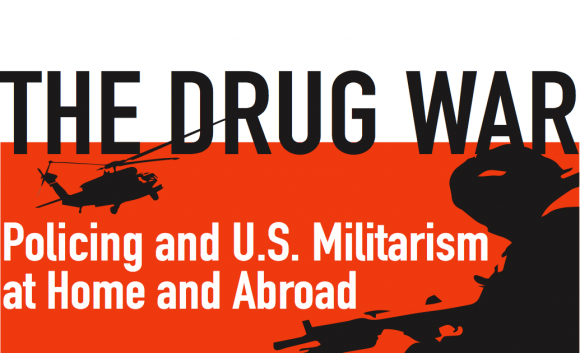 Join us for an important conversation about how the U.S. Drug War has fueled mass incarceration and discriminatory policing practices in the U.S. as well as violence and militarization throughout Latin America. 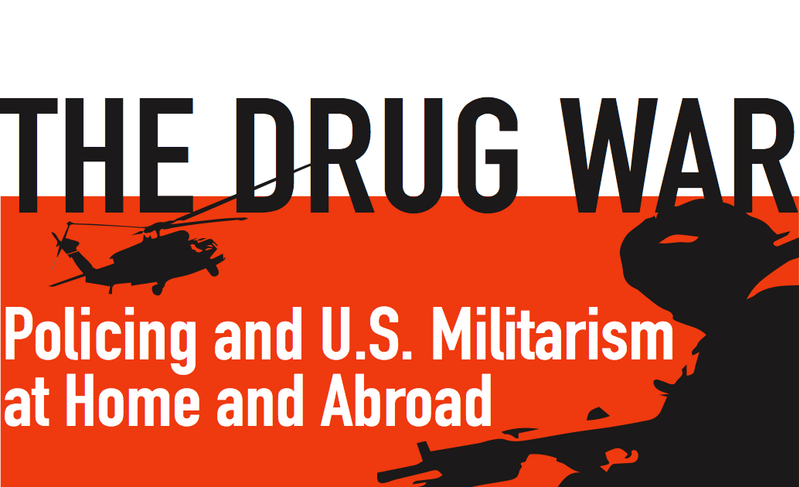 This panel will bring together organizers and scholars on both sides of the border to talk about the domestic and international impacts of the Drug War and their strategies to resist this racist, ineffective, and devastating “war.” Specifically, panelists will draw connections between their work on combating mass incarceration and discriminatory policing practices with U.S.-supported violence and militarization throughout Latin America. 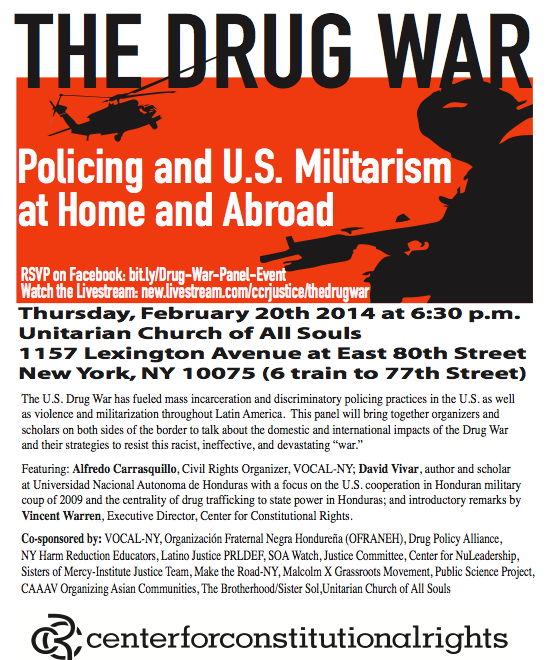 When: Thursday, February 20th at 6:30 p.m.
Panelists: Alfredo Carrasquillo, Civil Rights Organizer at VOCAL-NY; David Vivar, Author and Scholar at Universidad Nacional Autonoma de Honduras with work focused on the U.S. cooperation in the Honduran military coup of 2009 and the centrality of drug trafficking to state power in Honduras. Introductory remarks by Vincent Warren, Executive Director of the Center for Constitutional Rights.